»Dvorak in Amerika« – kein neues Thema, in dieser Zusammenstellung aber umfassend und in hervorragenden Interpretationen. Alle Werke, die Dvorak in seiner Wahlheimat komponierte, sind hier in Einspielungen zusammengetragen, die zwischen 1973 und 2006 aufgenommen wurden. Die Elite der tschechischen Künstler widmete sich Dvoraks schönsten Kompositionen. Concerto in B minor, the »American« quartet... A title with such a selection could without the slightest exaggeration bear the designation »The Best of Dvorak«. It almost defies belief that all these compositions, which brought Dvorak world fame, were written within a mere three years (1892-95) during his sojourn in America. The music is extremely inspired and profound, perfectly built and immensely amiable for the listener - simply beautiful. 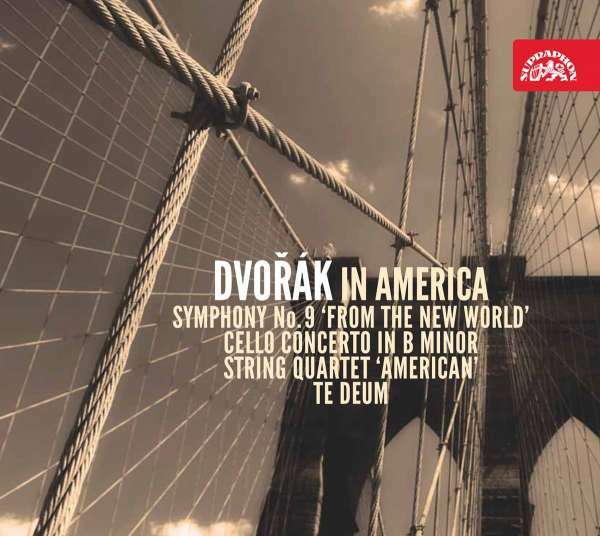 It reflects the powerful new sources of inspiration Dvorak discovered in America, yet also echoes homesickness, missing the family and familiar landscape. 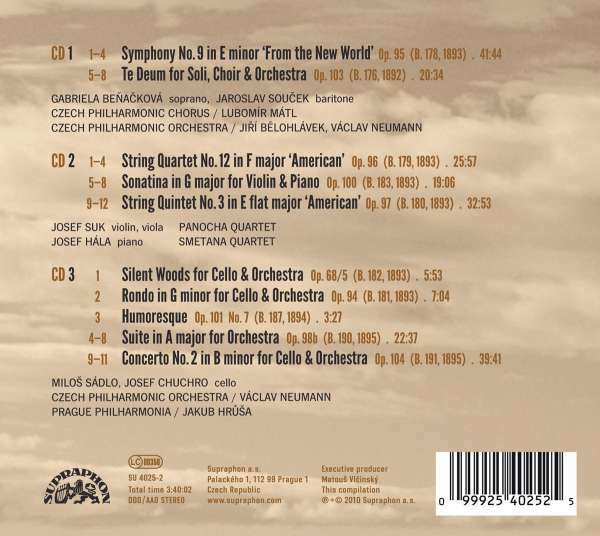 Josef Suk, the Panocha Quartet, the Czech Philharmonic under Vaclav Neumann and Jiri Belohlavek - such names are a guarantee of a profound tradition of performing Dvorak's music. 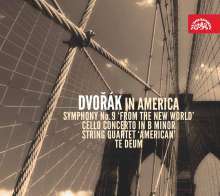 Accordingly, these 3 CDs comprise the gems of the most international of Czech composers as interpreted by artists who further spread and are still spreading the fame of Dvorak's music worldwide, from America to Japan.